Please join the Center for Women in Government and Civil Society on April 29th at the Conference on Women Leaders: Advancing Women-Sensitive Public Policy in New York State. 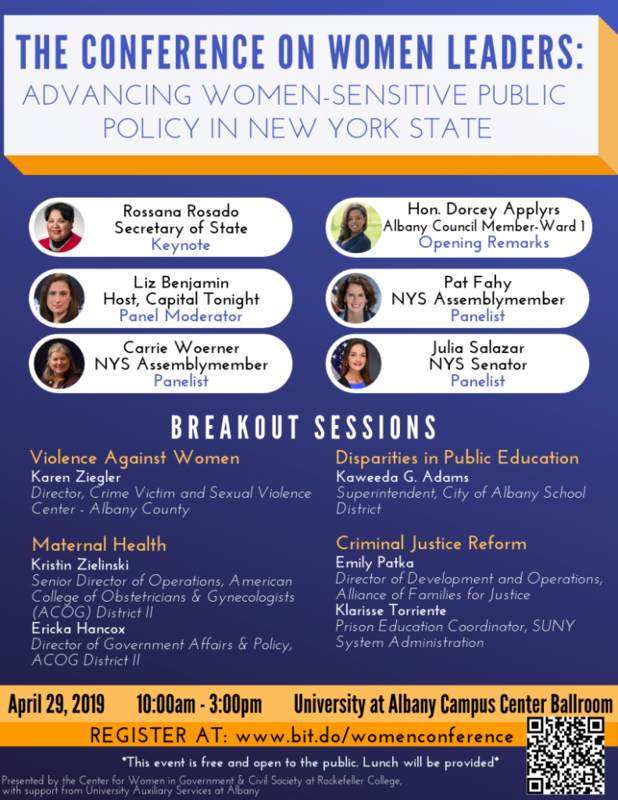 This event will bring together public service leaders, practitioners, researchers, community service providers, advocates, policy-makers and students to promote the development and advancement of women-led and women-sensitive policies in New York State. Panelists: Assemblymember Patricia Fahy, Assemblymember Carrie Woerner, Senator Julia Salazar - and more to be confirmed!